An advisory from Carnegie Mellon University’s CERT notes that the vulnerability is present in sites powered by OpenSSL versions 1.0.1 through 1.0.1f. According to Netcraft, a company that monitors the technology used by various Web sites, more than a half million sites are currently vulnerable. 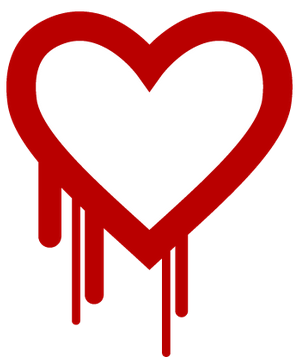 As of this morning, that included Yahoo.com, and — ironically — the Web site of openssl.org. This list at Github appears to be a relatively recent test for the presence of this vulnerability in the top 1,000 sites as indexed by Web-ranking firm Alexa. An easy-to-use exploit that is being widely traded online allows an attacker to retrieve private memory of an application that uses the vulnerable OpenSSL “libssl” library in chunks of 64kb at a time. As CERT notes, an attacker can repeatedly leverage the vulnerability to retrieve as many 64k chunks of memory as are necessary to retrieve the intended secrets. Jamie Blasco, director of AlienVault Labs, said this bug has “epic repercussions” because not only does it expose passwords and cryptographic keys, but in order to ensure that attackers won’t be able to use any data that does get compromised by this flaw, affected providers have to replace the private keys and certificates after patching the vulnerable OpenSSL service for each of the services that are using the OpenSSL library [full disclosure: AlienVault is an advertiser on this blog]. It is likely that a great many Internet users will be asked to change their passwords this week (I hope). Meantime, companies and organizations running vulnerable versions should upgrade to the latest iteration of OpenSSL – OpenSSL 1.0.1g — as quickly as possible. Update, 2:26 p.m.: It appears that this Github page allows visitors to test whether a site is vulnerable to this bug (hat tip to Sandro Süffert). For more on what you can do you to protect yourself from this vulnerability, see this post.